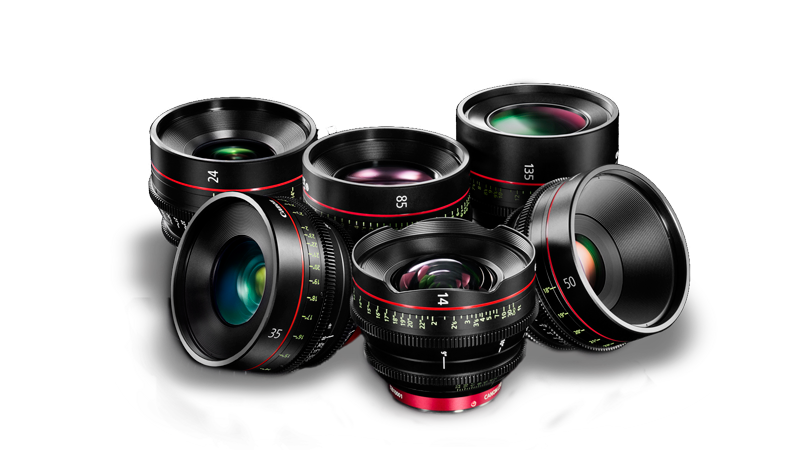 This 6 six lens set of Canon CN-E Cinema Prime EF Mount Lenses are designed to deliver edge-to-edge sharpness and brightness and provide a cinematic image, even when using a 4K camera. Each lens features an 11-bladed iris, which provides rounded out of focus highlights for a more natural looking image and consistency when switching focal lengths. The lenses incorporate angled focus scales on each side of the barrel, which makes it easier to read lens markings from the side and behind the camera, as well as share a consistent form factor across the family of prime lenses. The lenses share the same barrel and front diameter, as well as gear position, minimizing differences to adjust for as you switch lenses during your shoot day.